The freemium model is well understood in other software markets – from photo-editing to Shoot ‘Em Up games. Give the user a basic version of the product – limited functionality or access to limited levels of a game – and ask them to pay for premium access (extra functionality, related merchandise and so on). This is a volume business where 90 per cent or more will never upgrade. One games developer told me that you need two to three million downloads to start making money from those who will go beyond free; 10 million plus downloads to make decent money. Newspaper and magazines don’t tend to play with these kind of volumes. So they entice with free trials. Sometimes these are for a week or a month or, in the case of the Guardian when it launched an app at the end of 2011, a whole quarter. When the Guardian’s free trial – supported through sponsorship from Channel 4 – came to an end the vast majority stopped using it. According to analysis by PaidContent, of the 804,000 people who trialled it only 2.1 per cent went on to take out some form of paid subscription. Is that enough? For a paper with old-school infrastructure? Unlikely. The Times has been experimenting with the (near) give away. The newspaper's publisher is incentivising subscriptions by offering users the chance to buy a Google Nexus (retail price £199) for £50 in a tablet-plus-subscription bundle. 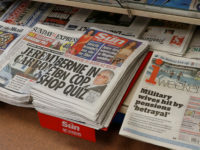 Users have to commit to an 18 month contract (weekly subscription: £4) and News International is banking on subscribers sticking around — either through inertia or the sheer quality of the journalism — for a lot longer. If they don’t, the sums won’t add up. If they do, expect other publishers to follow. As with games consoles, the real revenue is in the content not the device. And that’s why the FT left the App store. 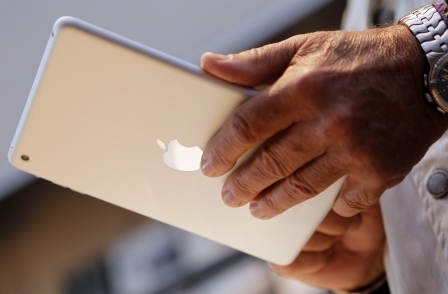 Subscription data has a monetary value – offering the ability to upsell, appeal to lapsed subscribers for another chance, demonstrate value to potential advertisers and so on – and it was this, more than Apple’s 30 per cent cut, that led to the split. Discoverability is Apple’s big app sell. 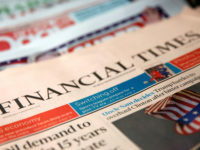 Extending a publication’s reach into new territories and new (more likely, younger) audiences is why most publishers don't follow the FT and instead forgo 30 per cent of their revenues and an uneven share of subscriber data. Some signs have been very encouraging. A figure I have cited more than once on this blog is worth repeating – when Future Publishing launched 63 magazine apps towards the end of 2011 it found that 93 per cent of those who subscribed had never subscribed to its print offerings. Yet, as the App Store (and Apple’s Newsstand) gets more popular there’s a real danger that discoverability gets less likely. According to figures released last autumn, there are over 9,000 magazine apps on Apple’s App Store. The paradox of its popularity is less, not more, exposure for your publication. Building websites that are responsive (visually and functionally) to any variety of smart devices – smartphones as well as tablets – clearly makes sense. We know, for example, that by the end of 2012 one in four visits to this site originated from Android-based or Apple IoS-based devices. That figure represents a 150 per cent increase on 2011 and the numbers are only going to grow. Good news, up to a point. But if your core website is “free to air” and you are hoping to make money with a premium tablet app, users might wonder what’s the point of paying for the app when the website works so beautifully. Guardian readers might be asking that question right now. As might readers of other sites. However, it’s a relatively small step from responsive design to a web app, à la FT. A web app is cross platform – it sits outside the stores like the Apple App Store (revenue splits and all) but works much like a native application. Charge for the web app and if users insist on accessing the website, you can consider charging for that too. The market for Android-based smart devices is only going to grow and, most likely, dwarf the IoS market. One indication of that trend has been evidenced on the New Statesman website this month. For the very first time, more people arrived on newstatesman.com, sister site to pressgazette.co.uk, via Android devices than via IoS-based devices. The trouble with Android? Very few users have a one-click purchase relationship with Google. Take these figures, which I've quoted before, from the United States. There, 5 per cent of consumers have a credit card connected to their Google account, compared with 18 per cent who have an iTunes account and 32 per cent who have an Amazon account. So right now, if you want to make money, Apple is ahead of Google – based on ease of app purchase. But don’t expect Google to stand still. Turning Google Checkout around is key to the company’s long term success. Rupert Murdoch’s digital-only newspaper folded last autumn which doesn’t sound much like a success. Yet the app had 100,000 subscribers at the time of its demise – most paying $39.99 a year, others 99 cents a week. It failed not because it couldn’t attract subscribers but that it couldn’t attract enough to cover its overheads including an admirably large editorial team. Could Murdoch have produced something equally (or more) attractive to an audience with fewer staff at start-up? The truth, however uncomfortable it is for journalists to hear, is that he almost certainly could. There are many card game available to play online without using real money. I have one of such game play the gin rummy game with your friends by using real money the goal of the game is to score more points that you say before.